Whether you are planning to have an intimate wedding or an exorbitant one, The Heritage Marriage Hall will surely match your unique choice, budget, and requirements. With a capacity of accommodating up to 600 in seating and 1500 in floating, the venue has a cosy and comfortable interior for the guests. It also offers an in-house team of caterers that puts all the efforts to delight the guests with mouth watering multi-cuisine dishes. The beautiful Heritage Marriage Hall, Dombivali, Mumbai is a great venue for lavish weddings. The spacious banquet and the sprawling lawn can be combined to host grand weddings. Their expert decorators can lend a magical touch to the venue with drapes, ambient lights and other accessories. Trust their culinary experts to whip up a delicious feast for your guests. Venue does not allow outside caterers. In-house catering provided by Ketan Caterer (Ketan Gandhi - 9820063913). Venue does not allow outside decorators. Venue allows/ does not allow outside DJ. Venue does not allow alcohol. Venue is available in the following time slots: 10:00 a.m. - 02:00 p.m. (Morning) 6:00 p.m. - 11.00 p.m.(Evening) Two complimentary changing rooms are provided to the bride and groom. Venue has parking capacity for 40 four-wheelers. Valet charges available on request. The nearest railway station is Dombivli Station. 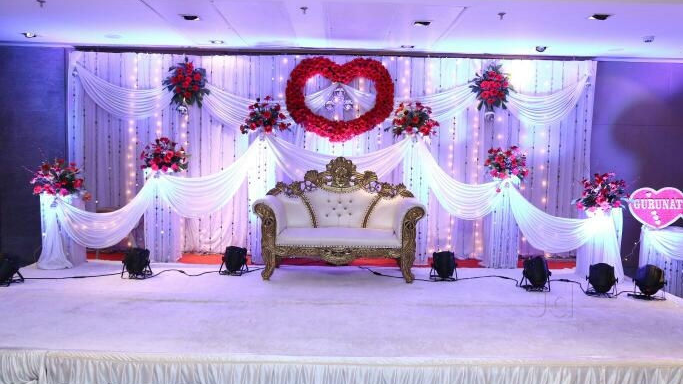 The Heritage Marriage Hall, Dombivli, Mumbai is a great venue for lavish weddings. The spacious banquet hall and the sprawling lawn can be combined to host grand weddings. The Heritage Banquet Hall has an expert team of decorators that can lend a magical touch to the venue with drapes, ambient lights and other accessories. Trust their culinary experts to whip up a delicious feast for your guests. Heritage Hall Dombivli East has luxurious rooms for the guests which gives them a comfortable stay. The venue offers complimentary changing rooms for the bride and the groom on their special day. The Heritage Banquet is one of the best Marriage Hall in Dombivli East. The lush green lawn is ideal for an open-air wedding and accommodates a huge crowd at the evening reception. The Heritage Marriage Hall, Dombivli, Mumbai allows overnight wedding, firecrackers and serves alcohol to their guests.